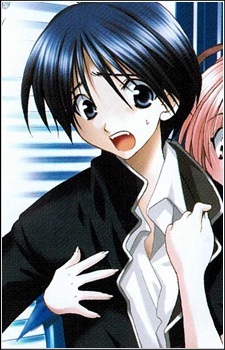 Yukinari Sasaki, the series main character. Because of his small stature and generally meek disposition, Yukinari has been bullied by girls his entire life and therefore suffers an allergic reaction that causes him to break out in hives whenever he comes into contact with a woman (in 2 instances he loses consciousness after being hugged or touched by girl's breasts). One day, he is knocked into his bathtub and is transported to the alien world of Seiren, a planet where men comprise less than 10% of the population. Upon arriving in Seiren, Yukinari meets a young girl named Miharu who for some reason does not cause him to break out on contact. Yukinari has a bad habit of being in the wrong place at the wrong time. This, along with other "close encounters," gets him kicked, punched, and otherwise beaten up by Kirie. He lives alone in the anime.